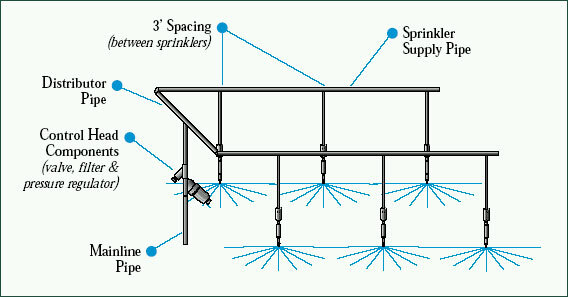 Easily create an overhead or bench top misting system using our Netafim heads. The Netafim assembly provides water efficient, uniform misting for both bench or floor crops and is easily adaptable to any greenhouse. Requires Hanging Assembly, 1/2" Mounting Adapter, or the Dan Retrofit Adapter (ordered separately). Of twenty that we purchased only 14 worked well. We are not endorsing this produce for our greenhouses, but we designed our system to their specs and have installed the heads and will see how they do. At this time we are not impressed. 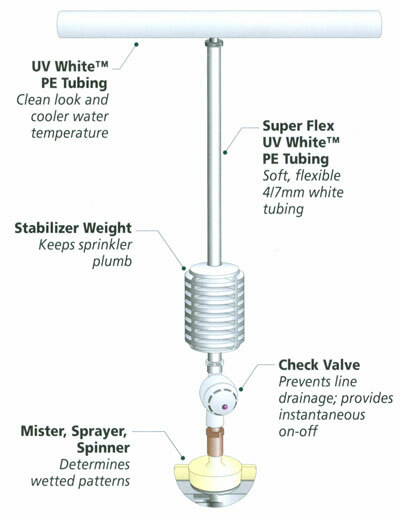 ### Clogging can sometimes be an issue with these products if the water source is not properly filtered. It is very important that the water used in the irrigation system is properly filtered to avoid clogging.